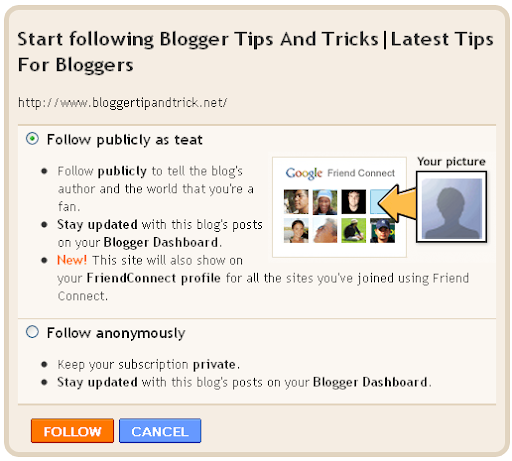 This will help other bloggers to follow your blogspot blog easily.To add it under your blog post, follow the steps below. 4.Copy below code and paste it just after the line <data:post.body/> . NOTE:Replace YOUR-BLOG-ID with your real blogger blog ID. If you don't get any results for that search, you can start a new topic. Please make sure to mention bX-bo0c9a in your message. very goog! i'll talk in brasilian portuguese, obrigado, ótima dica, melhor impossível! thanks very useful and working great !